We would like to share a story of a figure skater who had a miraculous recovery. Nathan* is a 42 year old figure skater who competes at Master’s level, a fireman by profession he visited our Morphett Vale practice for the treatment of shin splints. Nathan* reported that his pain started a few weeks before his initial consult while training at The Skating Academy. The pain was niggly at the onset, however it escalated to the point where he could barely get into his skates. The pain was throbbing in nature and did not change with the use of medication. With the Master’s Games just 2 weeks away, Nathan* was disappointed as he had worked very hard to get to this point in his career and thought that he wouldn’t be able to compete. On assessment, the Physio suggested that Nathan* could potentially benefit from Radial Shockwave Therapy. This is a process of delivering high pressure sound waves through the skin to produce healing and improved blood circulation. Initially Nathan* found the name intimidating, but was much more comfortable after commencing the treatment. Within 2 sessions Nathan* was 95% pain free and was confident that he would make it to the Masters Games. On follow up post-competition, he was still pain-free and was excited about his performance as he had bagged a silver medal. 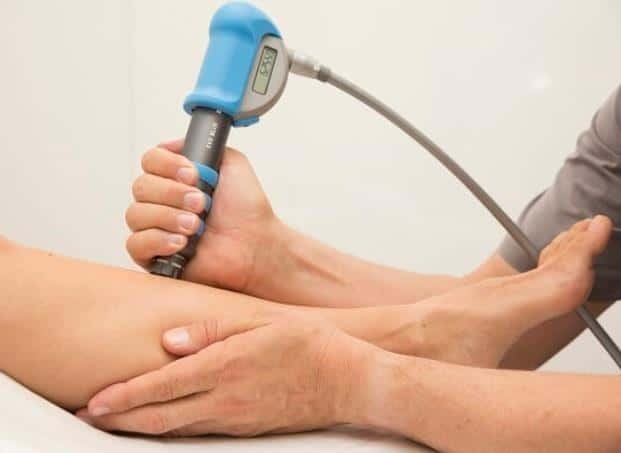 Click here to find out more about Shockwave Therapy in Adelaide.